Books 2018 Favorite Photobooks — Day One We've asked 88 internationally recognized luminaries from the photobook world to choose their favorite photobook of the year. Their favorite book could be unforgettable for any number of reasons but the chosen books affected our selectors on a very personal level. These books led each of our contributors to conclude, "If there's one book not to miss this year, it would be this!" 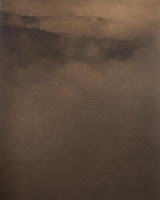 "The way that Genitempo captures this rural and clearly isolated stretch of the American landscape and the people who inhabit it is truly touching. It is rare to see such a delicate vision, where the landscapes are every bit as good as the portraits." "Nick is part of the chaos, he is immersed in it (literally), it provokes him to engage and perform with people; he is an outsider and an insider at the same time (he is a first-generation American from Indian parents). The photos are funny, disturbing, weird and ultimately revealing about the country and Nick himself." "There is elegance in Higher’s simplicity, which allows for the strength of the work itself to come forward. The book is already an important contribution to the field, laying a foundation for a young artist who is poised for much more in the years to come." "A strange choice; don’t I already have that book you say? No, you don’t. To see what many of us call great work made to have a life that is greater than anything it has had before, is a wonder I have rarely experienced." 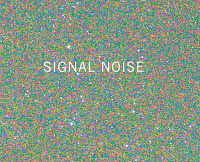 "Aaron Rothman’s Signal Noise offers a fresh look at desert landscapes. While there’s a digital transformation in the works that’s beautiful, this well organized book ultimately moves past the altered image to the core experience of place." "This pioneering work of "speculative documentary" profiles six case studies of American fabulists. It's the perfect provocation for these so-called post-truth times." 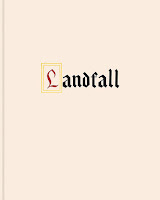 "Mimi Plumb’s Landfall does not disappoint. There is a sense of foreboding within this eloquently sequenced collection of photographs. It’s a slow burn that ultimately encircles you. Ms. Plumb has created a truly unique and peculiar world within these pages." 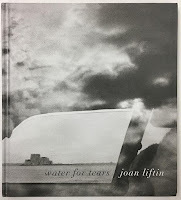 "Joan Liftin’s Water for Tears (Damiani, 2018) is at once a memoir in photographs and a love letter to her recently deceased husband, photographer Charles Harbutt." 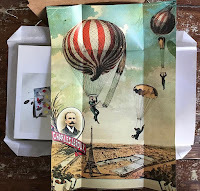 "A combination of found and her own images, origami art, sewing and stitching creates an imaginary journey in the footsteps of one of the first balloonists, Charles Leroux, who was born in America and died at the age of 32 while performing a parachute jump in Tallinn." 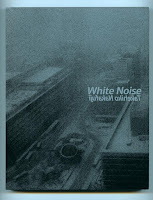 "Not only is the book beautifully edited, but it has an avant-garde side — thanks to a subtle multi-layered design. 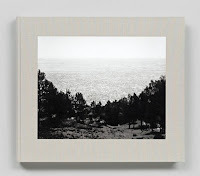 Behind the pictures, each page unfolds to another hidden scene, conferring multiple reading possibilities in a truly original way for a photo book." 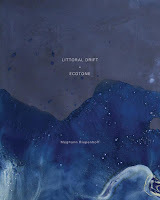 "During such a trying yet inspiring year politically and artistically for so many of us women, Riepenhoff’s cyanotypes — especially those in Ecotone, in which she collaborates with rain and other forms of precipitation — serve to remind us that the ever-changing weather of our lives, can also affect photographic history"
"I always found books which have not been intentionally made as a photobook interesting. This is one of those, a record of a surreal episode, a refreshing period piece, well-documented in photographs by Tony Sleep. 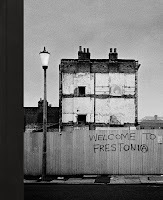 The first edition was produced in an edition of 350 and sold-out fairly quickly — it seemed to by-pass the photobook world."